Watch “Parks and Recreation” Thursday! Mark your calendars and set your TiVos... KaBOOM! will be featured on the NBC show Parks and Recreation on Oct. 22! KaBOOM! was written into the episode as part of the Entertainment Industry Foundation's volunteer week (which is part of the iParticipate campaign), fitting into the ongoing storyline of the quest to turn an abandoned construction pit into a community park. Three real KaBOOM! 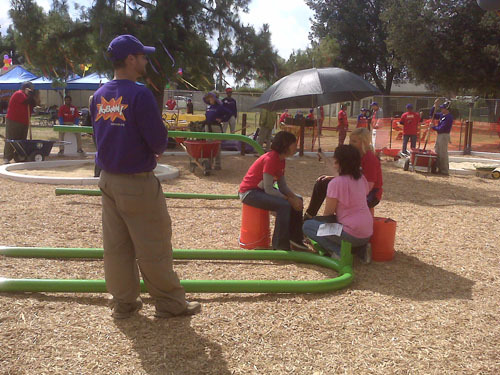 project managers – Melanie Barnes, Jen DeMelo and Kenny Altenburg - worked with set designers to build a playground with the cast. 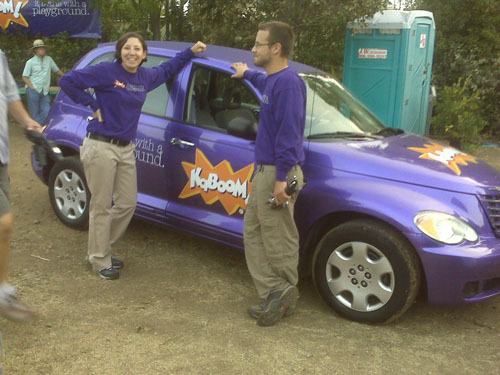 You can see some exclusive, behind-the-scenes photos below including KaBOOM! 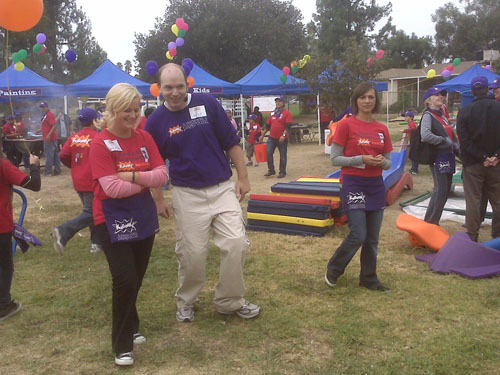 project managers and TV stars Amy Poehler, Rashida Jones and Paul Scheer. 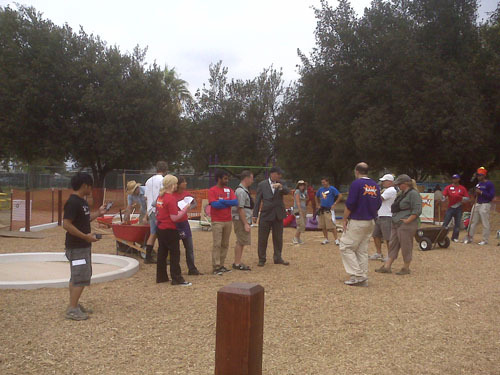 The actors pause between takes on the playground set. Real KaBOOM! Project Manager Kenny looks on while Amy Poehler and Rashida Jones are shaded between takes.